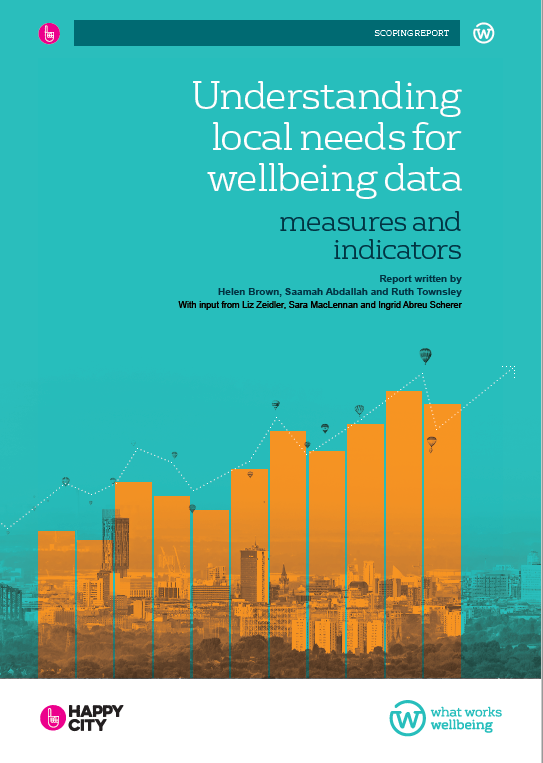 What wellbeing data do local authorities need to make better decisions? 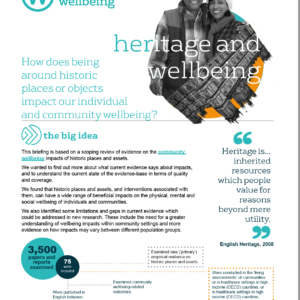 Local Wellbeing Indicators use existing data and the best research to show true picture of local residents’ lives and community wellbeing. Indicators look at personal relationships, economics, education, childhood, equality, health, place and social relationships- currently no local authority uses all of this data in one place to meet local needs. To develop the indicators, What Works Centre for Wellbeing partnered with Happy City and consulted with individuals in 26 different organisations, including nine city councils, seven county or district councils, the three devolved governments (Wales, Scotland and Northern Ireland), and nine other organisations including the Local Government Association, Defra, The Health Foundation and the New Economics Foundation. We are now working with Happy City to visualise the indicator data for different regions of the UK. We are also using pilots of the indicators in some representative local authority and public health settings to see if they are flexible enough to be useful, whatever the profile of an area, for example urban versus rural. your learning with us, so we can continue to refine and develop it for use by practitioners who are not data specialists. 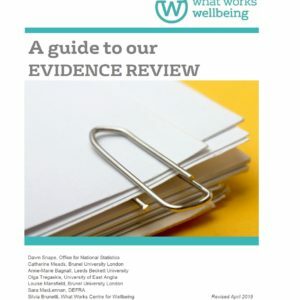 Our aim is to continually improve them to provide an accessible snapshot of local wellbeing, and make sure the indicators fit with other established initiatives and data sets, such as JSNAs, quality of life surveys and so on. If you are planning to test the indicators, or have any questions, please get in touch and let us know: info@whatworkswellbeing.org. NextDo scenic spots benefit our health?